There could be a number of reasons why a switch isn’t working in Grid 3. We have outlined some of the possibilities below. 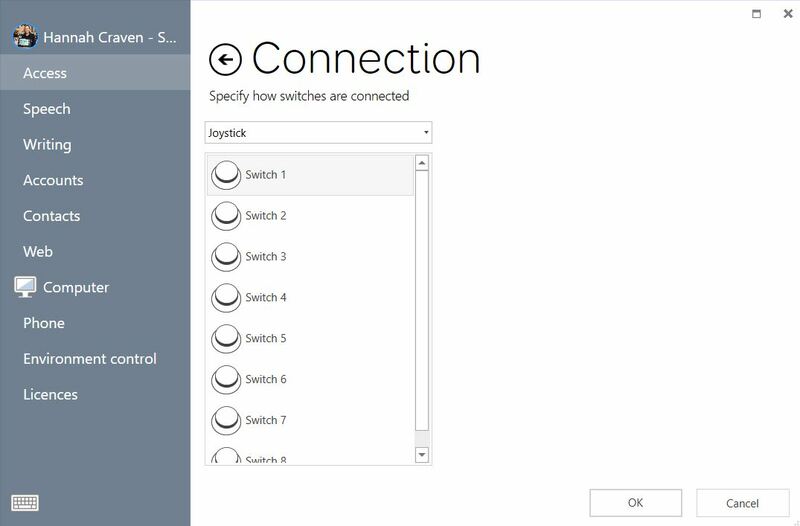 Joystick should be selected in the dropdown menu and it should show switches listed like the image below. When you press your switch, one of the switches should turn green to show that it has registered the press. 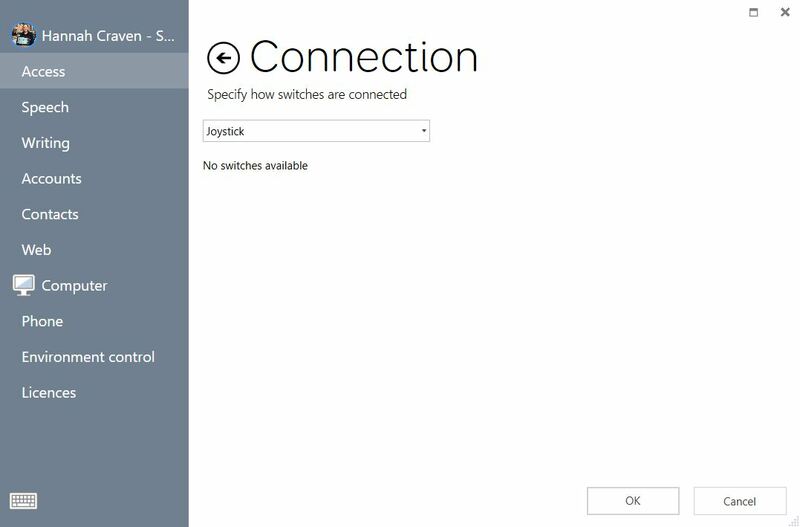 If there are no switches available like the image below, the problem exists outside of Grid 3 and you will need to follow the next steps to identify the issue. 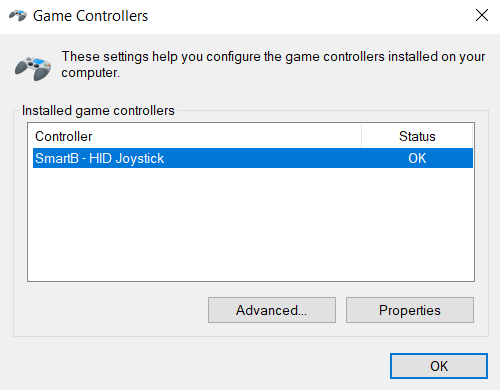 Please go to Control Panel and search for USB game controllers. You can type for this in the search box as shown below. 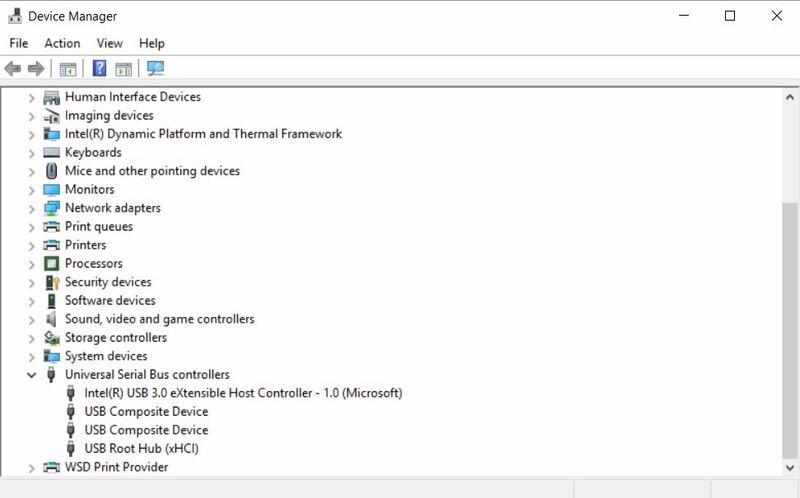 If it doesn’t show a game controller, you will need to go to Device Manager (long hold on the windows start menu in the bottom left corner of the screen and select Device Manager from the menu) and check that there are no errors (little yellow and black exclamation mark signs) on any of the USB devices plugged in. If errors do appear, please try disabling and enabling the device to see if this solves the error. It’s also beneficial to unplug switches, restart your device and plug switches back into the device back box to check if this prompts the device to recognize your switches.